My October gig extravaganza came to an end last night with an excellent performance by Miles Kane at the Electric Ballroom. 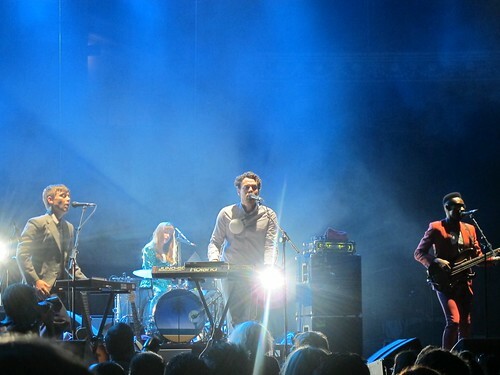 Before that however, was Bombay Bicycle Club at Brixton Academy last week. I am pleased to announce that the stage is back to normal, so the weird flattened out thing they had going on when I saw DFA1979 must have been temporary. Bombay Bicycle Club were supported by Dry The River, a band whom I have heard much about, but have never heard their music. They were fairly pleasant folky indie, and although I won’t be clamouring to buy their latest album they still helped the warm up the crowd and pass the time before the main act. 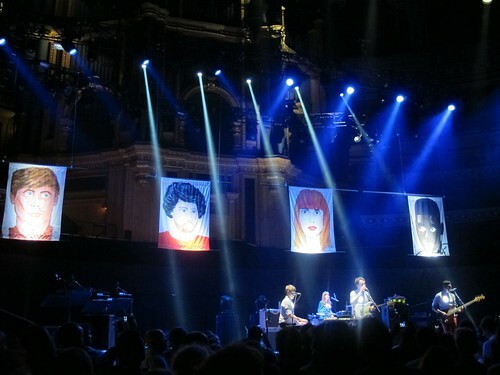 Bombay Bicycle Club took to the stage shortly after 9pm and managed to play a staggering 20-song setlist. Considering there were only two tracks on offering from their acoustic ‘Flaws’ album, they managed to get through most of the material from their other two albums, which surely left even the most die-hard fan feeling as though they had gotten their moneys worth. 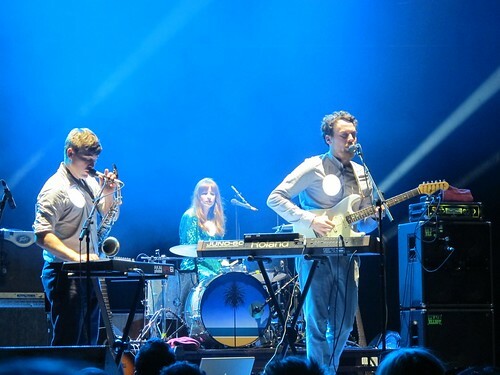 Not only do they play well live, but they also really get into the music and engage with the fans, something that a lot of indie-folk bands tend not to do. It adds an extra dimension to the songs and the crowd seemed to be absolutely loving it. I was extremely pleased with the selection of songs and the closer of ‘What If’ had everyone dancing and cheering long after they had left the stage. 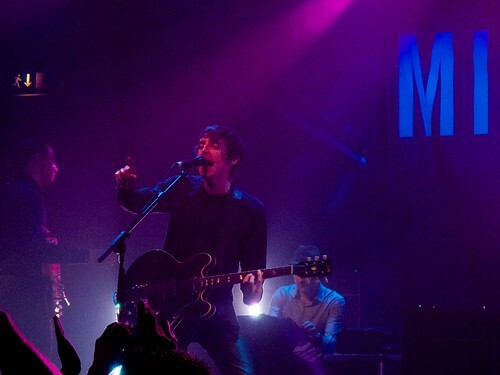 Miles Kane was performing two sold out nights at the Electric Ballroom, in support of his debut album ‘The Colour of the Trap’. The audience was largely made up of older people and so it didn’t really start to fill up until after 9pm, which meant we could get a nice spot close to the front before the support act, Folks, came on. Folks were largely forgettable and after a few tracks we found ourselves waiting impatiently for Miles Kane to take to the stage. It was a good performance, although fairly short as he only had his album and a few covers to rely on. The two covers (Jaques Dutronc and a more obscure Beatles track) mostly went over my head, but the rest of the set was more memorable. The highlights of course were ‘Come Closer’ and ‘Inhaler’ which got the biggest crowd reactions of the night and Miles proved that he is a solid performer and well worthy of all his praise. On Wednesday I got to skip free from work at 3pm (after being given an Easter Egg) and make my way to Leicester Square for the XFM session featuring Miles Kane. We arrived with plenty of time to spare, so after some food and cheeky cocktails in the pub we ventured into the Global Radio headquarters. We waited in the reception area until most of the other competition winners had arrived (there were about 25 of us in total) and then we were ushered into the ‘Green Room’ bar where we were served free beer. Beer only tastes good when it’s free! The walls had been signed by previous XFM guests so we wasted time trying to spot the best ones. 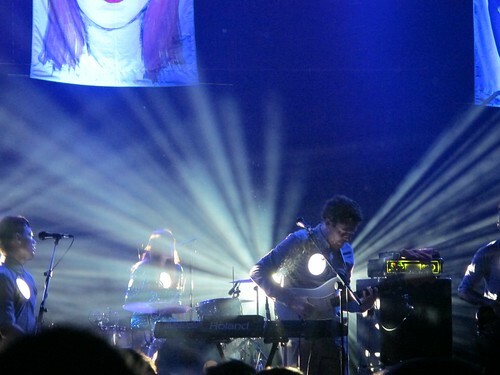 The Wombats had scrawled their name in massive letters, possibly to compensate for how sh*t their music is.. Eventually everyone had arrived and the band was ready, so we were led into a room just off the recording studio, which had massive glass windows so we could see inside. It felt a bit like we were in a zoo and Miles Kane was a rare tiger exhibit. Steve Harris was in with us, and introduced Miles and asked him a few questions before they played their set. They played the three singles plus an album track and I was really impressed with how polished it all sounded. I knew it would be good, but they really exceeded my expectations. It was over too soon and we were taken back to the bar and told that Miles would be with us in a moment. After signing the wall himself (and right over Alex James by mistake!) he made his way round the room and chatted to each pair of competition winners, thanking them for coming and signing things and having photos taken. It was a really nice touch, although when he reached us my friend started off the conversation by saying she didn’t actually know who he was! 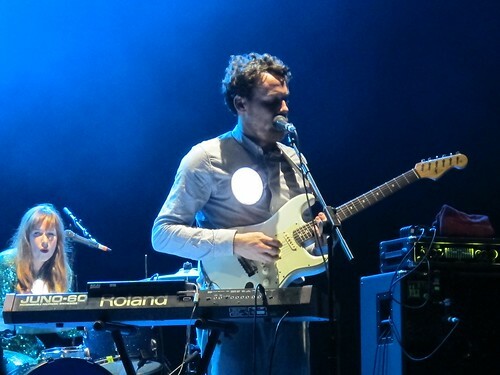 Luckily she recovered and went on to say that she was really impressed, and asked if he was playing Reading and Leeds. He confirmed that he was and after two hilariously bad photos with us, it was time to leave. All in all it was a really fun afternoon. We got to see bits of the XFM studios, have lots of free beer, watch a great set and meet Miles Kane afterwards. I’ll definitely be trying to win my way into more sessions in the future. Last night the entire Glastonbury lineup was revealed, which took me by surprise because I wasn’t expecting it for another couple of weeks! The biggest announcement for me is Queens of the Stone Age headlining the Other Stage on the Sunday. I was wondering who I was going to see instead of Beyonce, and now I’m incredibly happy. A lot of the smaller bands are also playing Reading so if there are clashes it won’t be the end of the world. I had assumed this week would be fairly leisurely after the insane amount of gigs last week, but I have somehow won two tickets to see Miles Kane at XFM in Leicester Square. It means I get to leave work at the luxurious hour of 3pm and explore XFM’s studio for the first time, I’m pretty excited! Last weekend was a thing of beauty as we descended on the Circle Line for a pub crawl in honour of my cousin Ben’s birthday. The theme was royals and politicians (because of the upcoming royal wedding) and although we only managed about 9 different pubs, we got incredibly drunk and confused a lot of tourists in the process. Here are some select photos from the day. I’m the one dressed as the Queen.